NCC and CBW teaming up again: Help us NAME the Con BEER! 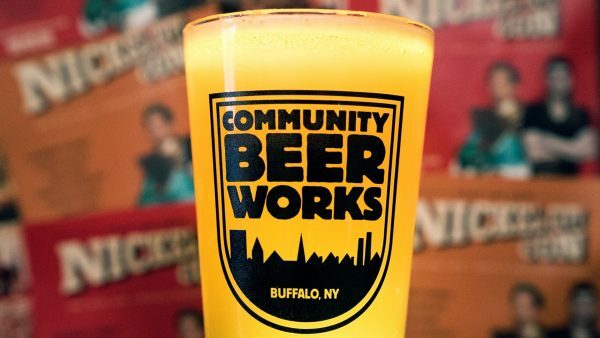 For the past two years Nickel City Con (NCC) and Community Beer Works (CBW) have collaborated on the making of a special beer just for the convention. Last year, we decided to have a CONtest to let you, the viewer at home, name it. There was also giveaways of CBW swag, plus Nickel City Con tickets for the winning name. For 2018 we’re doing those same things again! We’re making the same beer this year, but want your help renaming it. It’s a lighter-bodied American pale ale with lots of tropical and citrusy hops. Last year’s winning name was “1.21 Gigahops.” Do you think you can outdo that? Simply go to our Facebook page and comment your beer name on the CBW post for a chance to win two (2) three-day passes to Nickel City Con 2018, CBW swag, and a growler of the beer that you named. The best part is you can submit as many names as you want! The deadline for submission is Friday, March 9. We’ll put all submissions through the rigors of the NCC and CBW Selection Committee on Beer Naming to choose the top FIVE names. We’ll then announce the top five on Facebook and ask you to vote for the final name. It’s literally the only contest where YOU provide the wit, CBW provides the Beer, and Nickel City Con provides the FREE tickets.